Eye Care Directory offers up-to-date information about the optical eyeglasses stores and eye doctors for your vision needs in the Wellington of North Island. You may arrange an free eye exam, buy prescription eyeglasses, RX sunglasses or donate your old eyeglasses by using the contact information in the directory. In the Wellington, optometrists can be found in the vicinity of a chain optical retail store, or in an independent optometrist's office. Optometrists are trained to address both vision refractive errors and eye health. Many optometrists sell high-end eyeglasses and contact lenses in their practices with the most professional possible services in addition to performing eye exams and writing prescriptions. Ophthalmologists are medical doctors (MD) in the eye care and vision health who perform eye exams, write prescription for eyeglasses, sunglasses and contact lenses, diagnose and treat eye diseases and carry out eye surgery. Ophthalmologist's responsibility is much beyond that of optometrist. Is green chili good for eyes ? What kind of contact lenses does jennifer aniston wear? When typical cheap contact lenses occured, they rapidly became a simply means to enhance overlook. With the latest fashion trends, contact lenses bring an unforgettable opportunity to change your look completly. Many people included big stars who are fans of contact lenses. Jennifer is really a brunette and has brown eyes and she adopt to using blue or green coloured contact lenses to enhance her look and highlight her new image. However, it's really a volid measure. How many pixels does human eye have? What does it mean if i have a red dot in my eye? Red dot in eyes are the prominent symptoms of red eye and eye floater. Eye redness is due to swollen or dilated blood vessels, which cause the surface of the eye to look red, or bloodshot. Eye floaters are really terrible. When you look at something bright, they are so easy to be seen. And if they are much bigger than ever, you may get vision loss gradually and see something unclear. Pink eye is most commonly due to infection, exactly bacteria and virtues enter eyes and cause eye infection. Pink eye has a prominent symptom is redness in eyes. However, these three kinds of eye disorders have a same symptom is eye redness. So the best thing you can do is to visit a doctor and determine the real reasons for your conditions. Before that, no any medical treatment without the introduction of your doctor. And no rubbing or scratching your eyes any more. By the way, stay at home is the best way to avoid further infection. 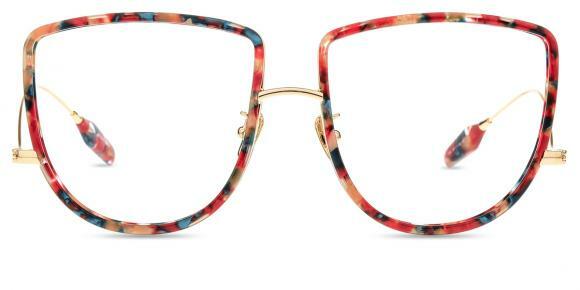 How to look good with big glasses? Make sure your glasses fit your face properly,Choose glasses that fit your face shape.Treat your glasses as an accessory.Adjust your eye makeup.Style your hair.Clean your glasses regularly. Is texting in the dark bad for my eyes ? Generally speaking, texting in the dark will do some harm to your eyes. As we all know that while texting the dark, we have to strain our eyes to focus on something, like the screen of the computer. If you text in the dark for a long time, the nerve around your eyes will keep strained, and then your eyes are easily to get infected and then I think the victim will be you and your eyes. As a matter of the fact, there are more possibilities for your eyes to get infection and bloodshot and irritated. However, if you have already been wearing glasses for some time, you can text in the dark, but pls keep in mind that you cannot do it for long time. 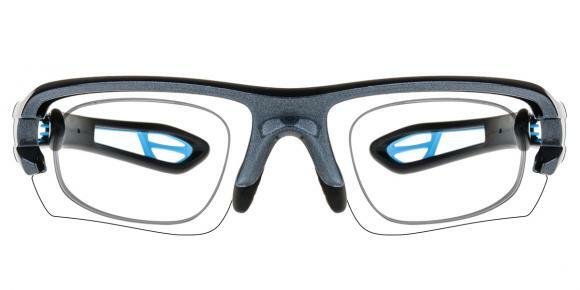 Because the prescription glasses can adjust the distance between you and your computer so that you do not need to make your nerves strained for long time, you can solve some emergency when you have to text in the bark. No matter whether you text in the dark or not, you should make your eyes have a rest after working. Hope this help you. Can i be a navy seal with poor eyesight? All SEAL candidates must first meet Navy entrance physical requirements for vision, which must be correctable and in a SEAL's case, no night blindness. There are additional requirements for officer candidates. I recommend if you really want to be a SEAL, get your eyesight fixed (if possible) before you come into the Navy, and come into the Navy with an approved SEAL contract. Why do my eyes get so dry at night? Yes, it will happen sometimes. This happens because there is a deficiency of tears on the eye surface. This kind of dry eyes symptoms can make us very uncomfortable at night. If you spend long hours in front of computers at night and if you wear contact lenses, they can absorb the fluids from the surface of the eyes so your eyes will be very dry. To solve this problem, you can add tears to the eyes artificially to retain the lubrication of the eyes. And there are artificial tears in the market which is in the form of eye drops. What causes high eye pressure other than glaucoma? Many factors will cause high eye pressure. Such as glaucoma, diabetes, cardiovascular disease, rainbow eyelashes inflammation, cataracts, myopia and other eye diseases may occur elevated intraocular pressure, trauma can also cause high intraocular pressure and optic nerve but because everyone IOP tolerance is different, though some IOP is higher than normal but not have occurrence of the damage to the optic nerve and visual field, known as ocular hypertension. Is shark liver oil good for dark circles? Dark circles are caused by various reasons. One is bad blood circulation. Skin around eyes is thinner so that the shadow is easy to be seen. Another is lack of sleep, which is the normal reason for mostly people. Fitly, the shark liver oil contains the essence of vitamin A and other nutrition which are effective for health and promote the circulation of the blood. Therefore, it can really do work for the dark circles. However, the most entitative reason give rise to this situation is your unhealthy habits.Hence, you'd better get enough rest, keep a healthy diets as well as exercise everyday. Besides, eyes massage and mild hot compress will also helpful. Hope you can get rid of this situation soon.